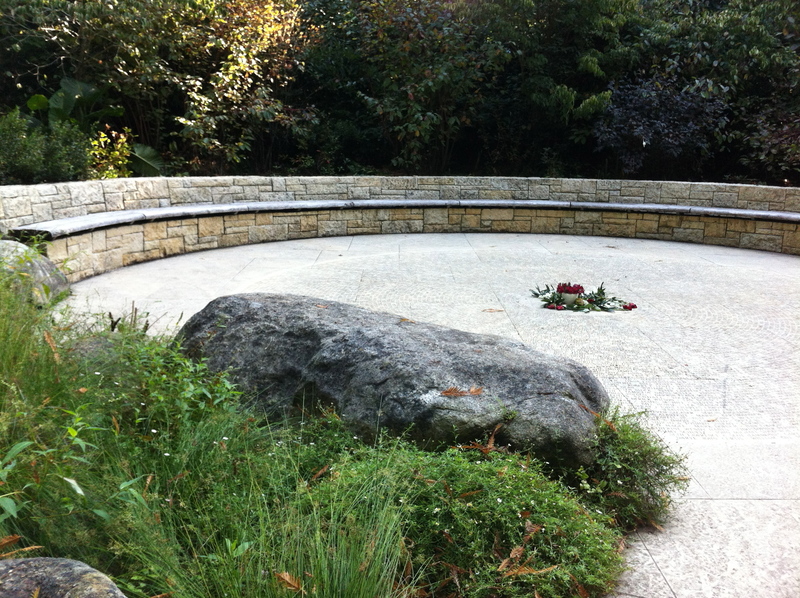 Tours: Free tours of the AIDS Memorial Grove are available between 9 a.m. and noon on the third Saturdays of each month between March and October. The 20-minute tours begin at the Main Portal. To schedule a tour, call 415-765-0497. In the late 1970s and early 1980s, a new disease swept through some neighborhoods of San Francisco, New York City, and Los Angeles. Doctors scrambled to get ahead of what was initially derided as the “Gay Plague,” a sexually transmitted collection of rare cancers, fungal infections, and organ failures that came to be called Acquired Immune Deficiency Syndrome. Infection, in those days, was lethal. Since gay couples could not legally marry, lovers were barred from sickrooms and deathbeds in hospitals across the country. Because of the social stigma of homosexuality in America at the time, obituaries often lied about the cause of death. Many victims chose to be cremated because they expected they would have no survivors to mourn them. Unlike the epidemics of the past, graveyards did not record their deaths. To make matters worse, in 1987, Senator Jesse Helms proposed quarantine for anyone who tested positive for HIV, the human immunodeficieny virus. To counter the panic and bigotry, a small group of San Franciscans envisioned a serene place dedicated to all lives touched by AIDS “where people would come alone or in groups to hold memorial services.” Architects, landscapers, and amateur gardeners gathered together in 1989 to meet with the San Francisco Department of Recreation and Parks to discuss possible sites for the memorial. 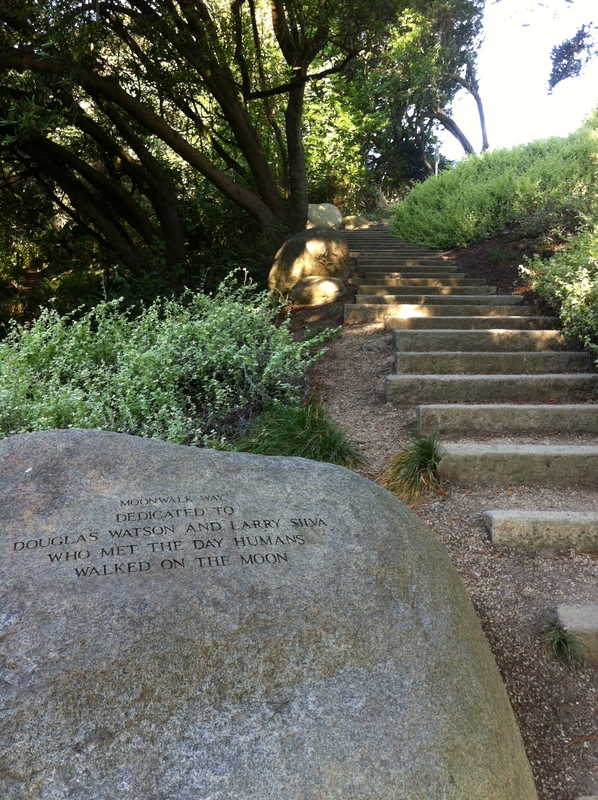 Later that year, donations in memory of prominent local landscape architect Stephen Marcus (who redesigned the graveyard at Mission Dolores), provided initial funds for what would become the AIDS Memorial Grove. 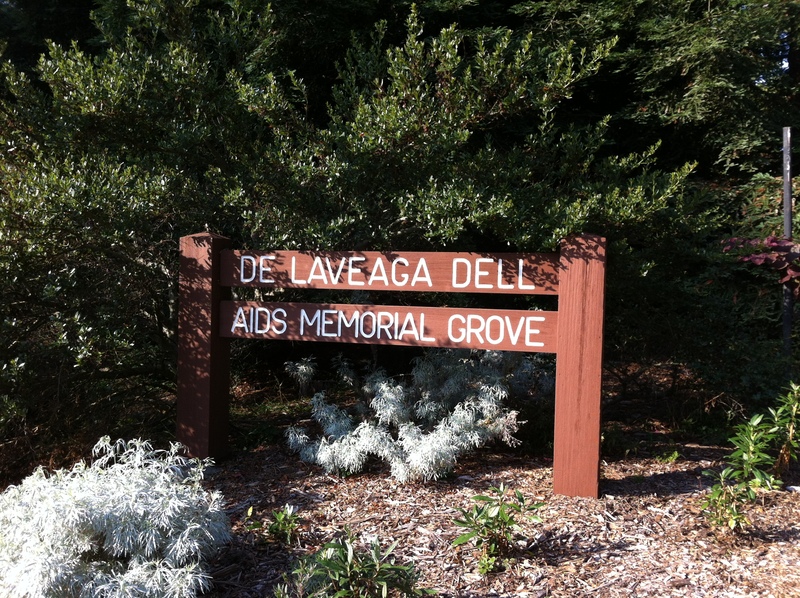 By February 1990, the Grove Steering Committee settled on the De Laveaga Dell for the AIDS Memorial Grove. 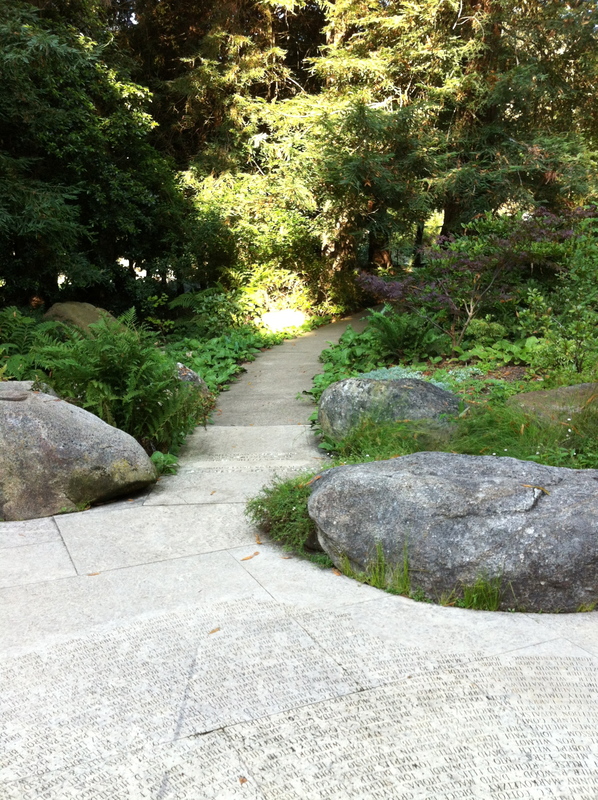 The little valley, located between the tennis courts and the Academy of Sciences, had been created in 1898 through a gift from the estate of Jose Vicente de Laveaga. When the Dell opened on June 21, 1921, it included a stream, a small lake, iris beds, rhododendrons, camellias, and ferns. It became a little zoo known as the Deer Glen and for a while housed a bear. By the middle of the 20th century, maintenance funds ran out, the animals were moved to the San Francisco Zoo, and the dell became derelict. The official groundbreaking of the AIDS Grove took place on September 21 1991, attended by San Francisco Mayor Art Agnos. The permanency of the Grove remained in question until 1993, when the Grove’s board of directors signed a 99-year lease with the City of San Francisco. The Grove has changed and grown over the years. In February 1995, the Main Portal was dedicated by benefactor Steve Silver, creator of San Francisco’s long-running variety show Beach Blanket Babylon. The 7-ton granite boulder which marks the entrance was installed in December that year, on World AIDS Day. Volunteers have planted thousands of trees, shrubs, and plants. They’ve installed six flagstone gathering areas, an accessible gravel path, 18 benches, and granite boulders marked with names of those who have been lost. A “Belvedere Overlook,” funded by the Elizabeth Taylor AIDS Foundation, was added in 2002. Its balcony displays polished black granite plaques with a timeline of the epidemic. At that time, 40 million people had been infected with HIV worldwide – and 22 million had already died of AIDS. Of that number, an unknown number of ashes have been buried or scattered inside the Grove, making it akin to a cemetery. The Grove’s Board of Directors began to wonder whether they should expand the purpose of the Grove in 2003. It was no longer enough that the garden serve as a place of mourning and serenity for survivors. Board members questioned whether the Grove truly represented a national memorial if it was not nationally known. Rather than advertise the Grove and raise its profile, they voted in April to hold a Memorial Design Feature Competition. The design was a source of controversy almost immediately. Survivors mourning loved ones lost to AIDS found the stark design painfully brutal. They questioned whether anyone could understand the design without the designers’ explanation of it. Board members countered by saying that the Grove needed to look toward the future, when the epidemic needed to be understood by people who had not been touched by it. In the end, the Grove’s Board voted in December 2007 not to implement Kim and Town’s design. The initially proposed cost of $2 million had swelled to $6 million, which would have wiped out the Grove’s endowment and required major fundraising. 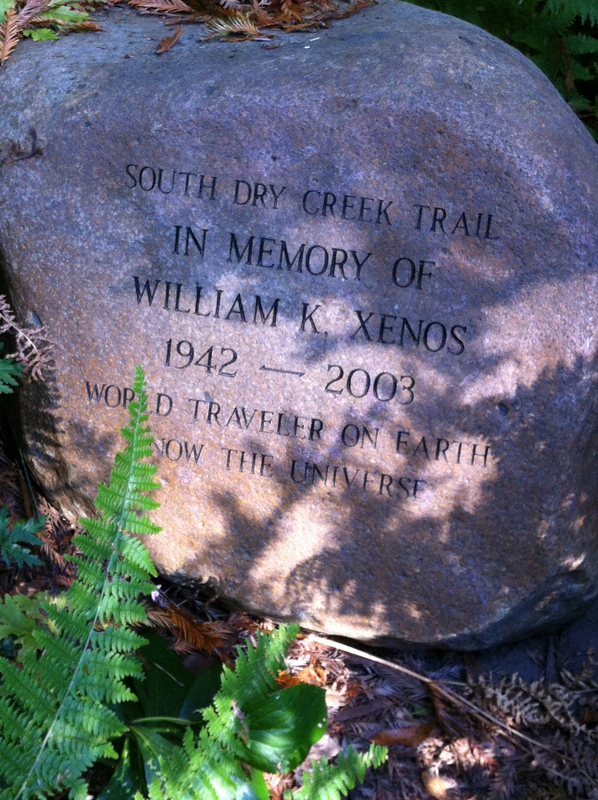 The Grove remains a garden full of boulders, benches, and plazas marked with the names of the dead. Still, the epidemic continues. According to the CDC, 1.1 million Americans are living with HIV. Approximately 636,000 people have died of AIDS in the United States. Worldwide, an estimated 8000 people die each day of the disease. A short documentary about the Grove was released in 2011. I’ll review it tomorrow. This entry was posted in Cemetery of the Week and tagged AIDS epidemic, AIDS Memorial Grove, Bay Area cemeteries, California cemeteries, san francisco cemeteries. Bookmark the permalink. I love this, it’s beautiful! Thanks, Jackie. It really is a beautiful place. Thank you for sharing more!